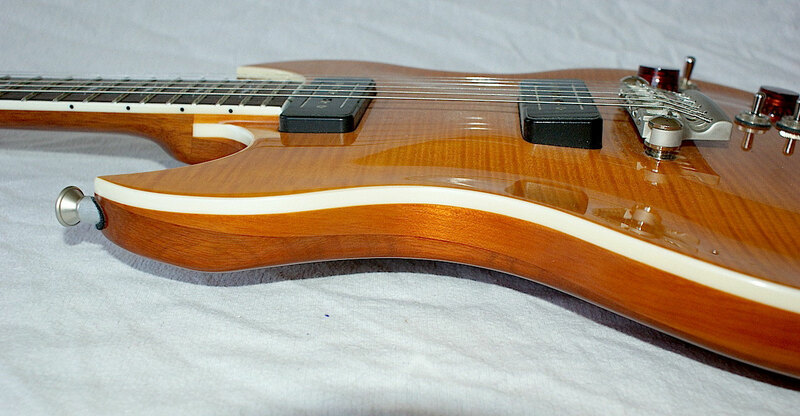 VOX SDC-55 - guitarfritzs Jimdo-Page! Vox SDC-55, a bargain. 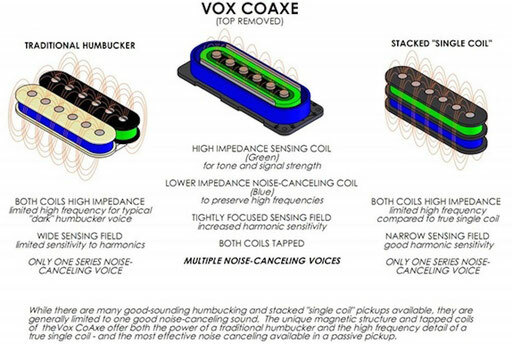 The pickups are hot and humfree and offer three voices each. Vox SDC 55 made in Korea with greatest attention to detail. Built quality is awesome! And for that price itis even incredible! Far superior to US standards twice as expensive. It is very beautiful, very, very well built and very versatile. It was built in Korea but designed by an American guitar icon, Rich Lasner. This guy really knows what he`s doing. 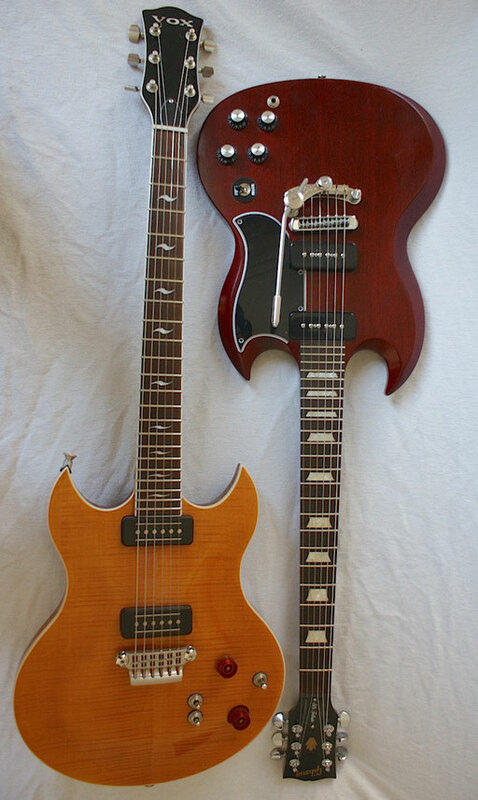 But for some strange reason the vox guitars seem not to be very successfull. So I was able to buy it pretty cheaply in 2012. They are rather hot and sound goooood! 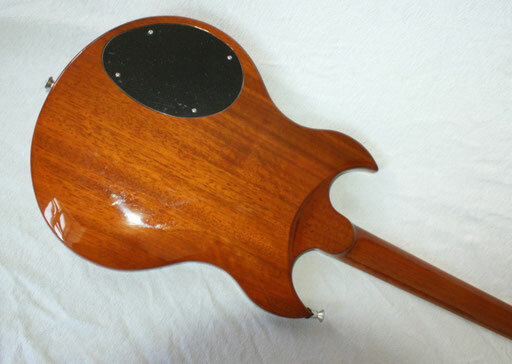 There is absolutely NOTHING wrong with this guitar! The contrary is true: Everything is GREAT! except that I miss a treble bleed cap on the volume pot and would have prefered a different toggle location. that it tends to be slightly neck heavy strapped on. Not a real problem, though! the neck is very middle-of-the road. I wish they had a fat neck option, too. The wiring could use two more mini switches! Yes, affecting both pickups when in the middle position only to define the parallel sound independently. 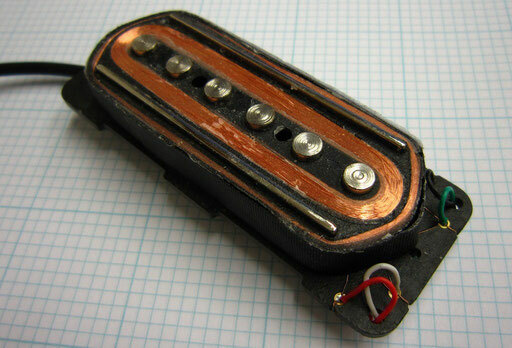 That way you`d get three differently "preset preset-sounds" from the pickup toggle. Go and buy one of these! There are semi-hollow and singlecut options, too! Amazing design! 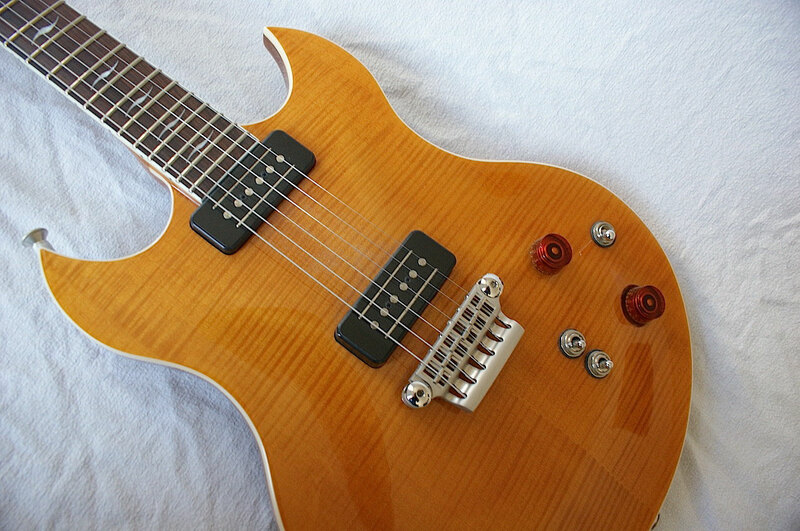 Nice headstock, beautiful simplicity. And look at these extremely elegant tuner knobs! 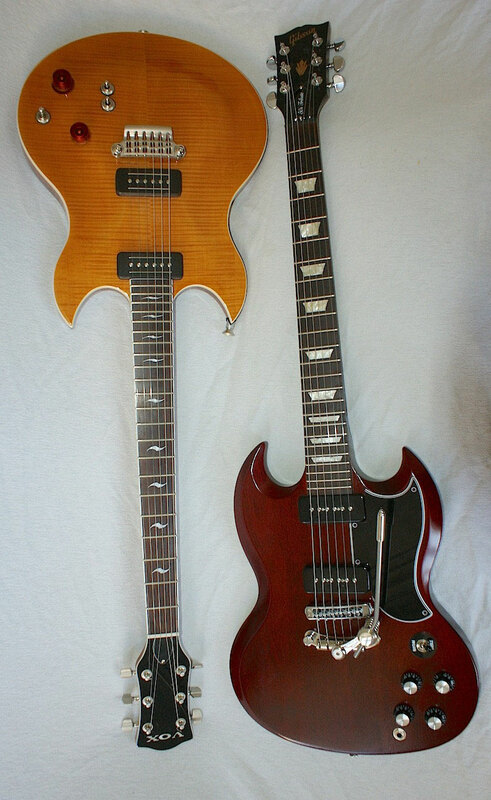 They have the same wave shape like the unique fretboard inlay. Buy both! the Korean built qualitiy is far better than USA quality at this price. Far, far, faaaaaaaaaar better! 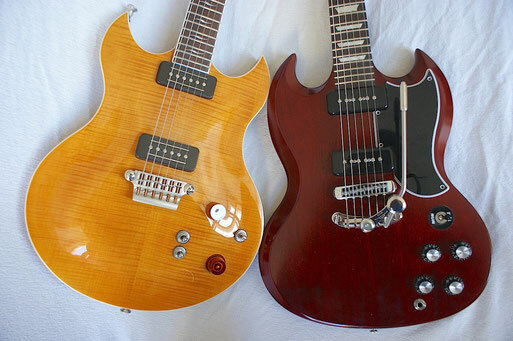 But that SG sound and the very fat neck are terrific. Even if the fret ends butcher your palm. Gibson USA this is pathetic! ...even if we`ve all come to expect nothing else!